Hello there my blogger friends. 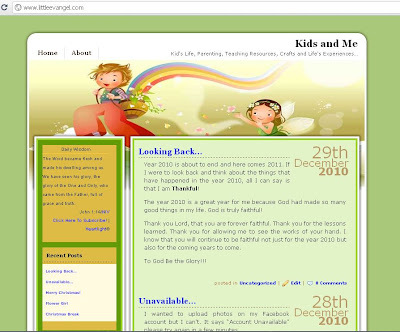 If you have free time, please visit my other blog “Kids and Me“. If you want link exchange you can leave your comments there and I would love to add you up.